If you have purchased a new cPanel web hosting account from us or have recently searched for shared Linux cPanel web hosting then you might have been introduced to the word “cPanel”. To put it in simple words, cPanel is a control panel tool that is designed to help people manage files on a web hosting server and even email management that are associated with their domain. Dependent on the server installation, cPanel gives you the freedom to manage almost everything around your website hosting. Even if you’re new to the hosting world and have very basic knowledge regarding web hosting, cPanel is a user-friendly control panel that lets you do the job effectively. cPanel offers various features to its users which makes it best among its competitors like Zpanel, Plesk, Virtualmin or even Webmin. Most of the time you will come across cPanel whenever you opt for any shared web hosting, be it for any personal purpose or your own online business. 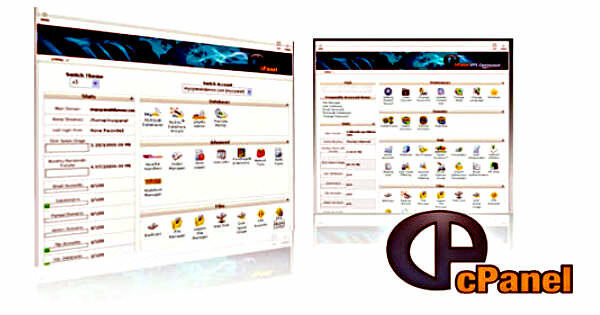 cPanel control panel is popular among many professional web developers and designers. For a new user entering web hosting, learning cPanel’s basic operation is a fundamental process in understanding how your web server and its components work. If you need to upgrade your cPanel web hosting account or in case you feel that you’re not comfortable optimising your server, please contact our help desk for support. In the Add on domains section, you can link your newly purchased domain name to your existing hosting account. The primary domain name is the main domain name added to your hosting account when you first signed up for your account. Subsequent domain names can be added as Add-on Domains depending on your hosting package. Unlinking domain names can also be done from this section. We also offer free redirection of domain names to other external sites as well from within your account. For advanced users cPanel offers a DNS Zone editor. DNS Zone editor can be used to modify all aspects of your domain name DNS settings. Including CNAME, TXT, SPF, A and MX Records. This section is where you can manage the emails, auto responders and mailing lists that are associated with the domain name in the hosting account. You can create or forward emails and even remove accounts in this section. Webmail (checking email online) is also available; however we suggest using external sites for checking Webmail as there’re better email management solutions online. By selecting an email address, users can easily setup their third party software for checking emails such as POP3 and IMAP using Microsoft Outlook, Mobiles Phones or other Email Clients. For users with current Yahoo and Gmail accounts, email can be easily forwarded to these accounts and managed through Yahoo and Gmail interfaces. Most web developers these days use FTP software as the main method of uploading, downloading and modifying data on the web server. However using the cPanel file manager is also an effective way to get your data into the servers. If you’re comfortable with editing html and php files, the file manager in cPanel web hosting also comes with a text editor which can help you to edit files. You don’t need to download a file to make small changes. Instant changes can be made directly in cPanel’s file manager. It’s always good practice to backup the file before making changes within the code. As a common practice all files should be backed up weekly or monthly depending on your business requirements. cPanel web hosting console offers an easy backup solution for beginners. Make backups regularly of the following areas: MySQL databases, forwarders, home folder as well as email filters and setups. CMather hosting services offer these back-up features free of cost. With such easy back-up features you can restore your website easily when disasters or issues arise within your site. You can also send your backups to external sites or keep a copy of the backup on your local computer. cPanel’s most fascinating feature that makes it the king of control panels. It makes the setting up of a website so smooth and easy. Fantastico is one of the popular script installer while you can also come across Softaculous on other hosting environments. This feature allows you to create a website in just a few minutes. Few clicks on the mouse and you will have various CMSs (Content Management System) such as Drupal or WordPress installed. The script installer even takes care of the databases for you. If you’re not an expert then all you need to do is install any CMS and you will be ready with your website within minutes. WordPress is recommended for starters as it can be learned easily and is very user friendly. Most static websites rarely make use of any database. If using a content management system or ecommerce application then databases will be an important learning factor in your web development. The database is created automatically when installing from our script installer. However if manually installing a database, users and privileges, cPanel web hosting offers an entire section within the control panel. This section can also be used to edit or manage databases and its users. The cPanel web hosting console is a powerful web hosting tool. It makes management and monitoring your web server an easy process. No technical jargon, programming or code is required. We have only listed the most popular areas within the cPanel console. There’re lots more things to learn if you want to take maximum benefits from cPanel. We will provide more information in the coming weeks with more features and uses of cPanel across our networks. If you require help or further information on our web servers, please contact the help desk or poke us on social media sites.